If you’re looking for more than just eSports, true bliss awaits. This is a gamblers paradise where you’ll entertain yourself for hours on a wide variety of different games. With a spectacular withdrawal policy, you’ll enjoy any cash outs in a blink of an eye and with an awesome mobile app, you’ll always have a fun packed experience no matter where you are. Use the interactive cash out option to secure your bets and never run out of help with a 24/7 customer support. Do you want a lot to gamble on? 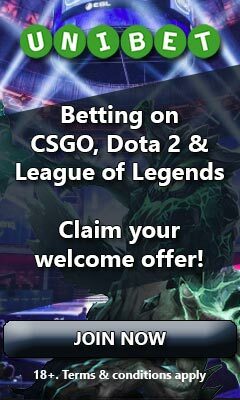 Be sure to pay a visit to William Hill eSports. Click the button below to go there now or continue reading the full review. Country not in the list? Don’t worry! William Hill accept players from a wide range of countries and most likely have something in store for you as well. Unfortunately we weren’t able to list all bonuses, but click on the below button and you’ll be able to see what they have in store for you. William Hill is a gamblers paradise and if not careful one will find himself spending hours playing bingo, when all one really came for was to check out today’s eSports odds. They have a wide selection of odds, virtual betting, casino games, scratchcards, lotto, bingo and poker. When it comes to eSports their coverage is definitely not bad, but it’s not the best either. 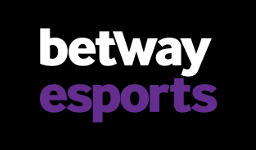 If you’re looking to have as much matches and markets offered as possible, William Hill eSports won’t be the best choice, but if you’re looking for some mixed gambling and settle with a decent eSports coverage, it might be the perfect site for you. 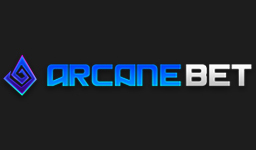 You will find that they cover matches from several different eSport games such as Call of Duty, CS:GO, Dota 2, FIFA, Halo, Hearthstone, Heroes of the Storm, League of Legends, Overwatch, Starcraft 2 and World of Tanks. When it comes to markets you’ll usually find match winner and different outrights such as tournament and group winner, but from time to time you might also find handicap and over/under bets and for LoL first blood and baron/dragon kills. All in all we’re pretty much satisfied with William Hill eSports even if we of course would wish for even better eSports coverage. But they do have 24/7 our support, awesome withdrawal and settling times and a bunch of things to gamble on. If you’re not too picky about the amount of eSports covered, you should definitely check them out. At William Hill withdrawals are processed differently depending if it’s to an e-wallet or to any other method. A withdrawal to an e-wallet (like Skrill, Neteller or Paypal) is automatically processed at once if there is no restriction, meaning an instant receiving of the funds. With other withdrawal methods used, the withdrawal is processed within 24-48 hours. However one can contact the support to have it processed at once should there be no restrictions. When it comes to settling of bets, a bet is settled as soon as the results are in regardless of being a pre-match bet or live bet. In other words a pre-match bet could be settled within 10 minutes, should the event you have placed your bet on already have occured. Should there be a delay in the settling one can always contact the support to have it settled at once. When it comes to Casino, William Hill mainly uses Playtech as a game provider and offer almost 300 different slots. The slots from Playtech are nicely categorized by the number of betting lines. Slots from other game providers can be founds under the section “Games”. In addition to this they have a wide selection of different scratchcards, bingos and lottos. They also offer Virtual betting and here you will be able to bet on Football, Greyhounds, Horses, Cycling, Speedway and Motorracing. When it comes to poker, William Hill is a part of the iPoker network which has a good amount of players. Argentina, Australia, Austria, Bosnia, Canada, Finland, Iceland, Ireland, Malaysia, Netherlands, Nigeria, Norway, Russia, Switzerland, UAE, UK, Ukraine. Afghanistan, Algeria, Bangladesh, Belgium, Benin, Botswana, Brazil, British Columbia, Bulgaria, Burkina Faso, Cambodia, Cameroon, Central African- Republic, Chad, China, Congo, Cuba, Cyprus, Democratic Republic of Congo, Denmark, Djibouti, Equatorial Guinea, Estonia , Ethiopia, France, French Guiana, Gabon, Gambia, Greece, Greenland, Guadeloupe, Guinea, Guinea-Bissau, Guernsey, Haiti, Hong Kong, India, Indonesia, Iran, Iraq, Israel, Ivory Coast, Jersey, Lesotho, Liberia, Libya, Mali, Manitoba, Martinique, Mauritania, Mongolia, Montserrat, Myanmar (Burma), Netherland Antilles, New Caledonia, Niger, Norfolk Island, North Korea, Norway, Philippines, Poland, Portugal, Réunion, Romania, Rwanda, Samoa, Sao Tome & Principe, Saudi Arabia, Singapore, Solomon Islands, Somalia, South Africa, Sudan, Surinam, Swaziland, Sweden, Syria, Thailand, Togo, Tonga, Turkey, Uganda, United Arab Emirates, Uruguay, USA, Vanuatu, Yemen.